For every racing driver who has been successful in forging a professional career in motorsport, there are plenty who have missed out. In many cases, this is not because they lacked ability; rather, it’s symptomatic of an industry where talent is not the only ingredient necessary for success. There are many drivers who have been good enough to succeed at the very top level of the sport but for one reason or another, they haven’t quite got there. 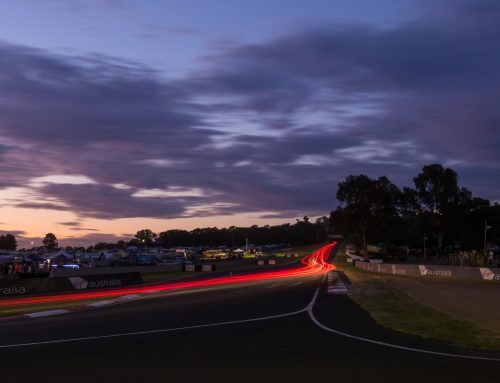 Whether it’s lack of financial backing, not enough exposure to key players in the industry, or driving in the wrong category at the wrong time, the motorsport scene is full of stories about individuals who could have made it, but ultimately didn’t. In a lot of cases, these individuals have faded into obscurity and never been heard of again, but a lot of them deserve recognition for their time and achievements in the sport, and make interesting stories as well! So, a new topic for some of my upcoming blog posts will be the Undiscovered Talent series, where I examine the careers of drivers who meet the description above. And the first inductee to the Undiscovered Talent Hall of Fame is someone very close to my heart, Ian Kegg. 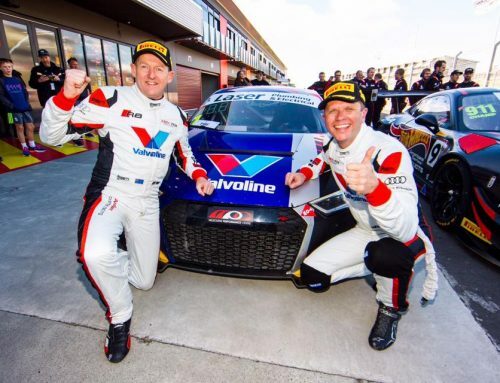 Kegg’s racing career started in HQ Holdens in the mid-1990s, and after a number of seasons in which he established himself as a consistent front-runner, he switched to the MoPro Australia-run one-make Daewoo Challenge Series in 2001. At the time, this was a national category that ran as part of the Power Tour (forerunner to what is now known as the Shannons Nationals). While the cars – identically-specced Daewoo Lanoses – may not have been particularly quick, they were very evenly matched and the quality of drivers was impressive. 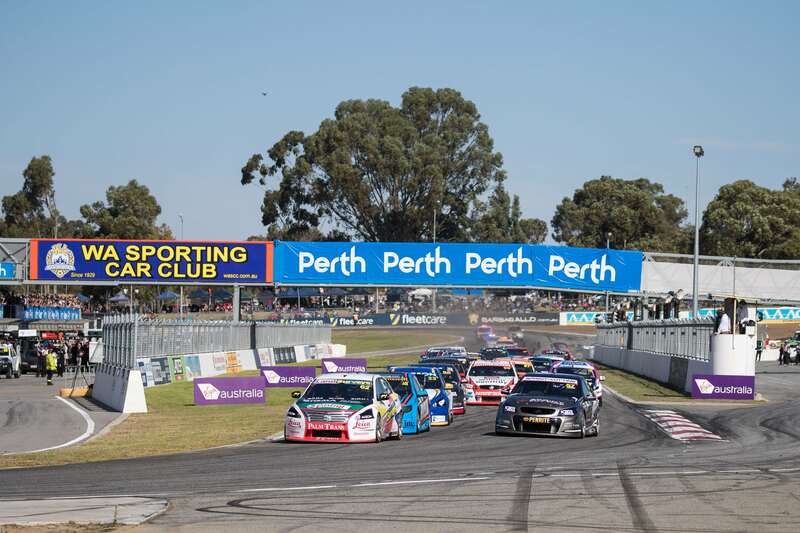 Names competing in the series included the likes of current V8 Ute racer Andrew Fisher, open-wheel veteran Chris Oxley and V8 Development Series competitor Marcus La Delle. But the cars, with their lack of horsepower, demanded a very smooth and disciplined driving technique to extract the maximum performance, and after so many seasons racing the similarly-underpowered HQ Holdens, “Keggie” was immediately at home. 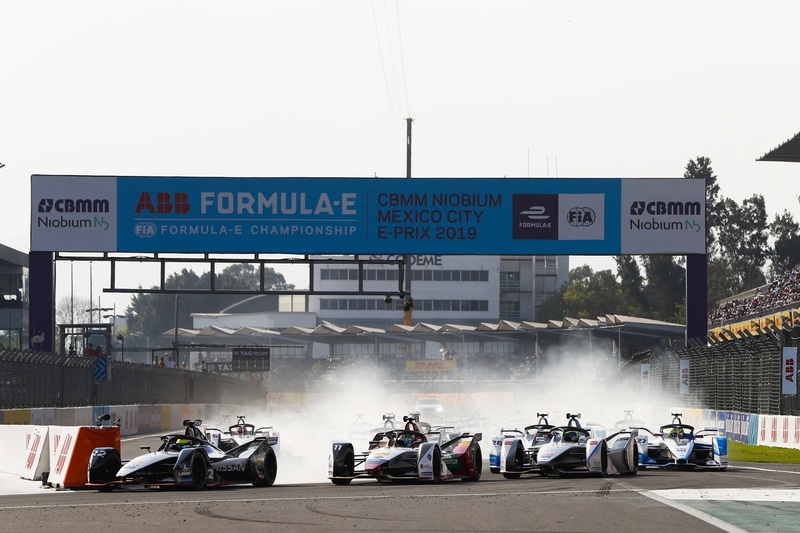 While his rivals over-drove and under-performed, Kegg went about the business of amassing pole positions and race wins, and emerged as a clear championship winner. The Daewoo Series offered a healthy prize money payout for the series champion and Kegg invested it into stepping up to the next category on the motorsport ladder, the MGF Trophy Series, also run by MoPro Australia, and running as a support category for the V8 Supercars Championship in 2002. The MGF Trophy Series cars were somewhat faster than the Daewoos, and also had quirky on-the-limit handling characteristics thanks to their hydragas suspension. Once again, an abundance of well-credentialled drivers were competing in the series but spins and crashes were aplenty; Kegg adopted the approach of staying out of trouble but he was fast as well; he qualified on pole position for both races at Winton, and chalked up a number of top-three finishes, and found himself leading the series at the half-way point. 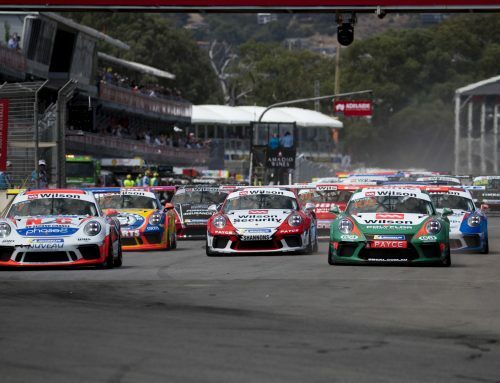 Alas, the series victory was not forthcoming due to a shocker in the last round at Sandown, and without the funds to re-enter the series, he opted for a return to the Daewoo Challenge in 2003. It was at this point that I became involved in Keggie’s racing exploits; I had developed an interest in motorsport and my stepfather, who had worked with him previously, introduced the two of us. At just 14 years old, I found myself looking after the Ian Kegg Racing website and writing race reports and feature articles. It was my first foray into motorsport journalism and PR work. Kegg’s results in the 2003 Daewoo Series were similar to 2001 – he won lots of races and took the title in comprehensive fashion on a scorching November day at Oran Park where he qualified on pole and was victorious in all four races. “Ian Kegg Barrels the Opposition!” my headline read. The prize for the series win was a 2004 drive in MoPro Australia’s new Lotus Trophy Series, which replaced the MG Series on the V8 Supercars support card. The talent pool for the inaugural Lotus Series was deep, to say the least. 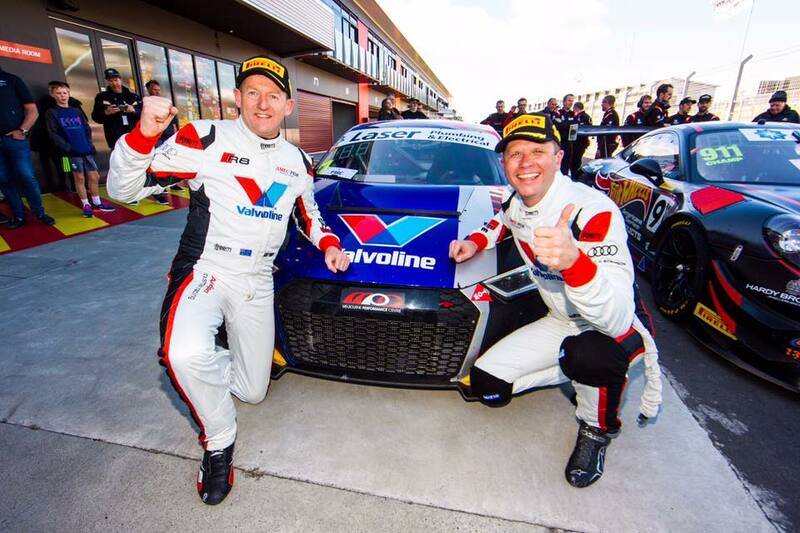 There were a couple of young guns by the names of James Moffat and Tim Slade, multiple Australian Sports Sedan Champion Tony Ricciardello and V8 Utes champ Grant Johnson. There was also a speedy Kiwi by the name of Damien French (a former rival of Greg Murphy in go-karts) and Tengku Djan Ley, a fast Malaysian, as well as drivers who had stepped out of the MG Series like Andrew Fisher, Yanis Derums and Richard Buttrose. There was even an entry from veteran Italian racer Lucio Cesario. 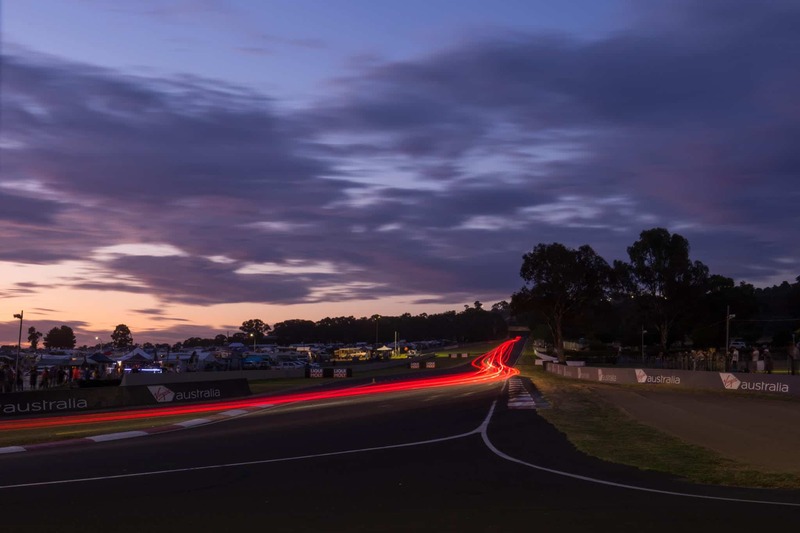 Things started promisingly in the opening round at Eastern Creek, Kegg scoring a second-place finish behind Cesario in diabolical weather conditions in which many drivers found it simply impossible to negotiate the high-speed Turn 1 without spinning off the track. But after that, a series of mechanical problems and bad luck conspired to rob Kegg of the results he deserved. The Lotus Series race format featured a reverse-grid for the second race of each weekend, with the third and final race grid positions determined by points from the first two races. 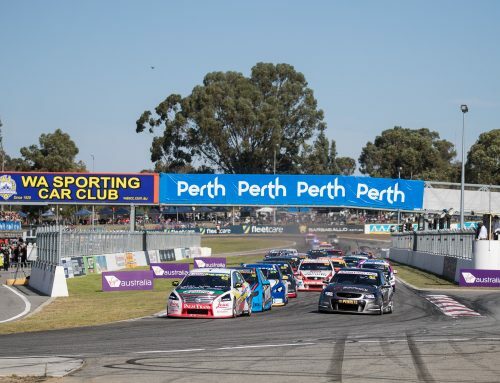 Kegg’s typical pattern was to qualify well and finish towards the pointy end in the first race, get caught up in someone else’s problem in Race 2, and then spend Race 3 trying to battle back through the field from a lowly grid position. At Hidden Valley, he showed top five pace but copped a drive-through penalty for jumping the start. He was an innocent victim in crashes at Barbagallo, Winton and Oran Park. 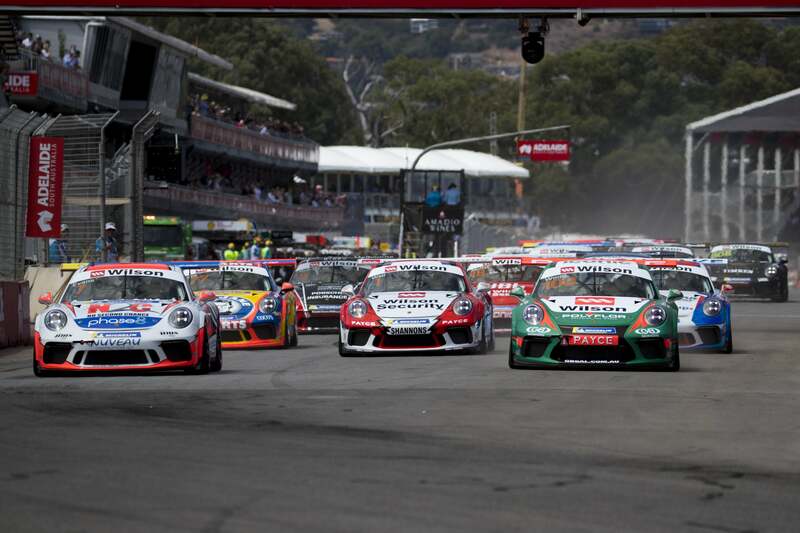 The last round at Eastern Creek summed up his season; he qualified fourth and finished third in Race 1 after a wheel-to-wheel battle with Moffat, but then got caught up in a crash at the start of Race 2, failing to finish. Starting outside the top 10 on the grid for Race 3, he clawed his way up to seventh. While the drive in the 2004 Lotus Series had been funded, the damage bill had not, and the costs of repairing the Lotus Elise so frequently throughout the season had taken its toll on Kegg’s finances, relegating him to the sidelines for 2005. A win in MoPro’s Chance of a Lifetime competition enabled Kegg to return to the Lotus Series in 2006 and he was again on the pace, with top three race finishes, but it was to no avail; MoPro Australia went into receivership after the first two rounds at Wakefield Park and Winton and the series collapsed. By that stage, Kegg’s priorities had changed as well. He was 33 years old, had bought a house and had become engaged to his long-time girlfriend Kylie. 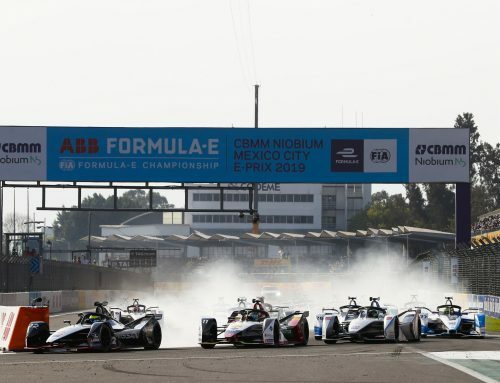 The professional motorsport dream was over. 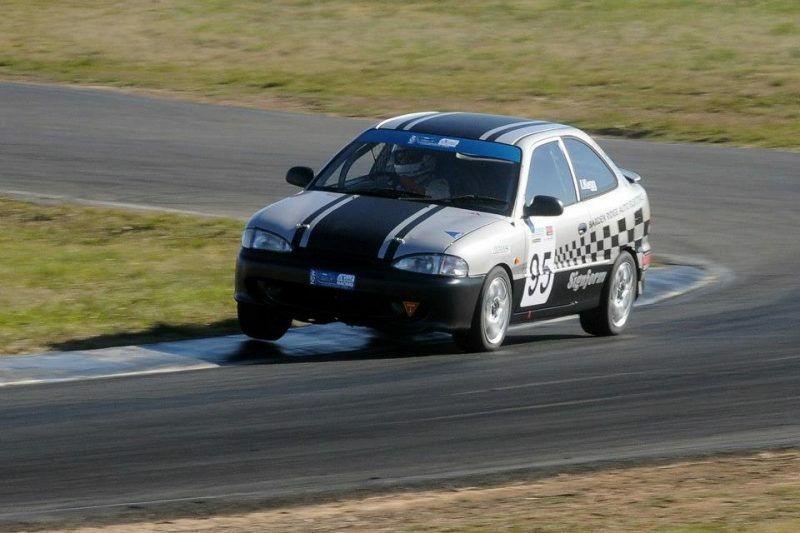 Kegg wouldn’t race again in any capacity until 2013, when he purchased a Hyundai Excel to compete in the newly-created NSW Excel Racing Series. Despite seven years out of the driver’s seat, and opponents that included experienced production car and open-wheel racer Nathan Gotch, Kegg was the one standing on the top step of the podium at the end of the first-ever Excel Series round. It was a reminder for everyone of just how good a driver he had been in his heyday. These days, Kegg races recreationally in endurance races such as the Wakefield and Winton 300s. He has a young family and a successful career in sales. But there will always be the unanswered question of how far he could have climbed the motorsport ladder if slightly different circumstances or opportunities had come his way.